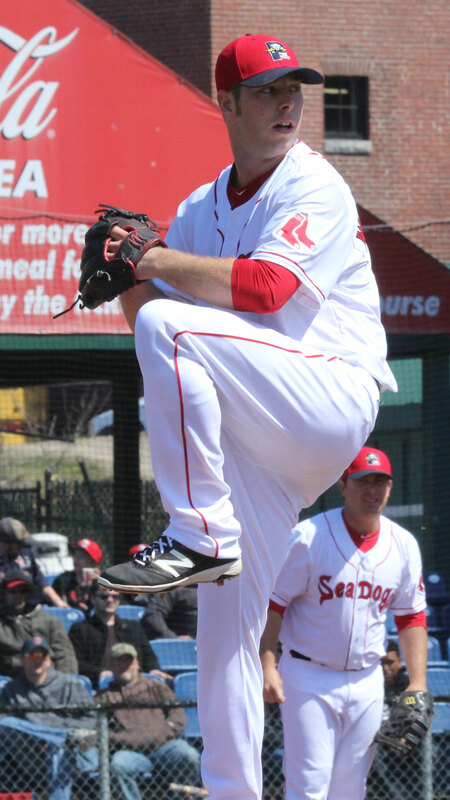 (Portland ME) Nice matchup between Portland’s best pitcher (Aaron Wilkerson) and Hartford’s top pitching prospect (Kyle Freeland) on a beautiful Sunday afternoon. 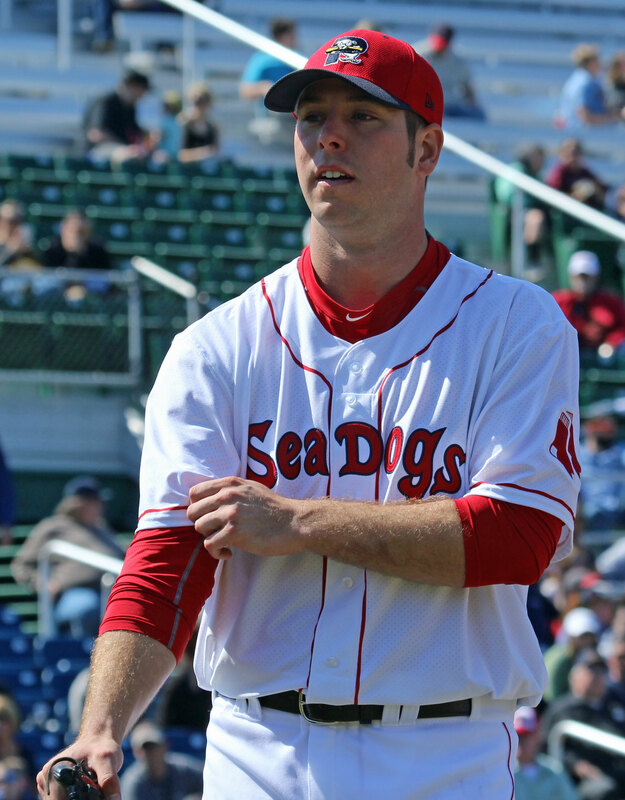 The Sea Dogs (4-7) ended up losing this one, 8-1, because the Portland bullpen (Simon Mercedes & Mitch Atkins) gave up eight runs on eight hits in the final three innings. That’s ugly! Speaking of ugly, the defense on both teams was very weak with a total of nine errors. It was a surprise to see throws to first, from the left side, be such an adventure. I was a bit disappointed when the Portland roster was released a couple of weeks ago because none of the top prospects were there. Almost all of them seem to be in Salem (A). 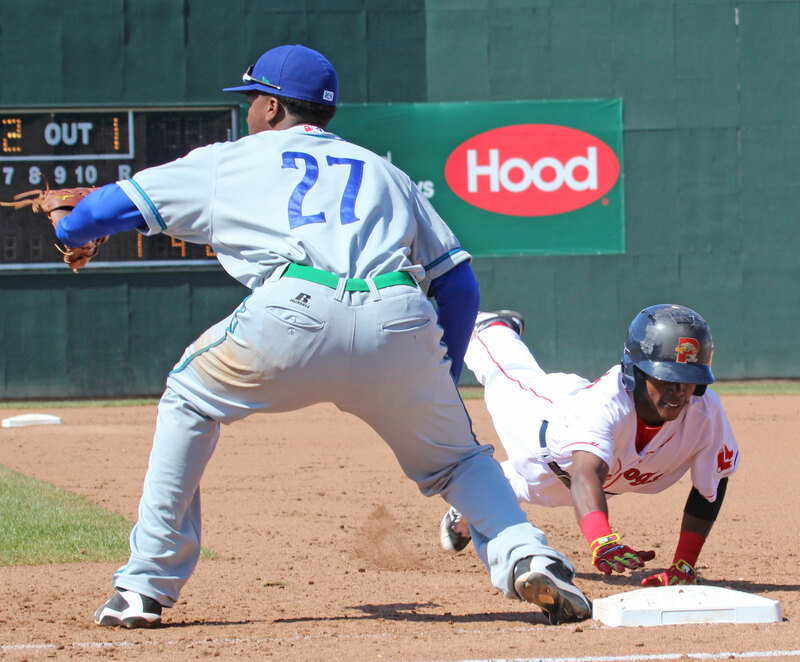 The top Red Sox prospect at Portland (second baseman Wendell Rijo) is rated 11th. 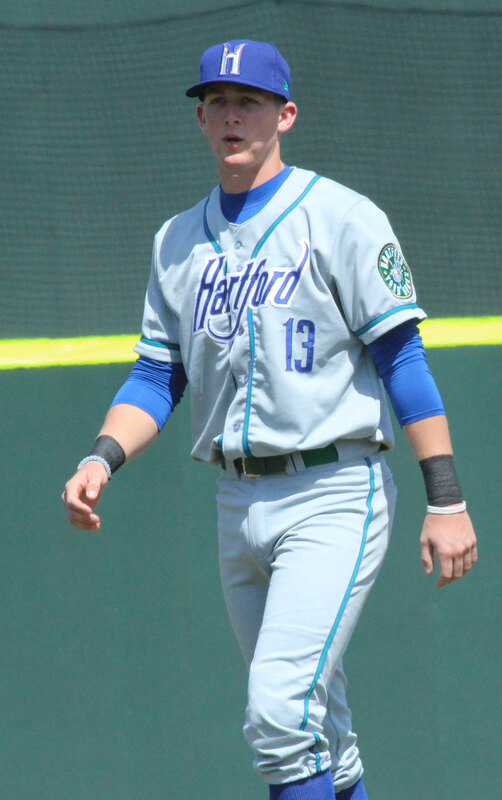 Meanwhile Hartford, which is the AA farm team of the Colorado Rockies, has #3 (David Dahl), #5 (Ryan McMahon), #8 Raimel Tapia, and #9 Kyle Freeland on their roster. And as it turned out, all four of those top prospects were involved in today’s game. Suspecting this I chose to spend this gorgeous April afternoon taking pictures of the prospects. 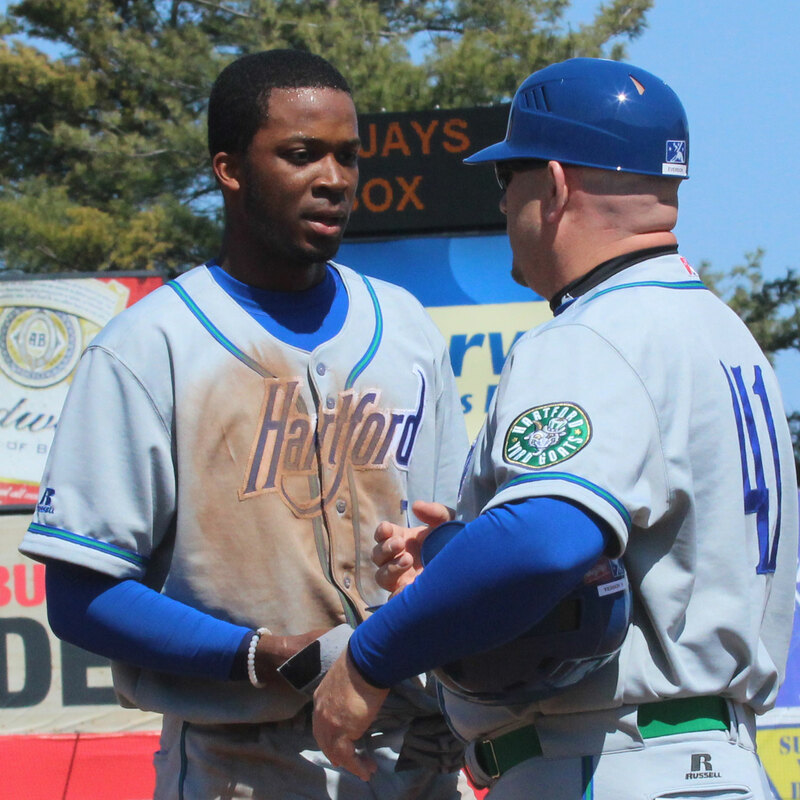 This is the Hartford Yard Goats first season after moving from New Britain. I visited New Britain for a game a few years ago and got several good shots of Altoona’s young pitcher Gerrit Cole. 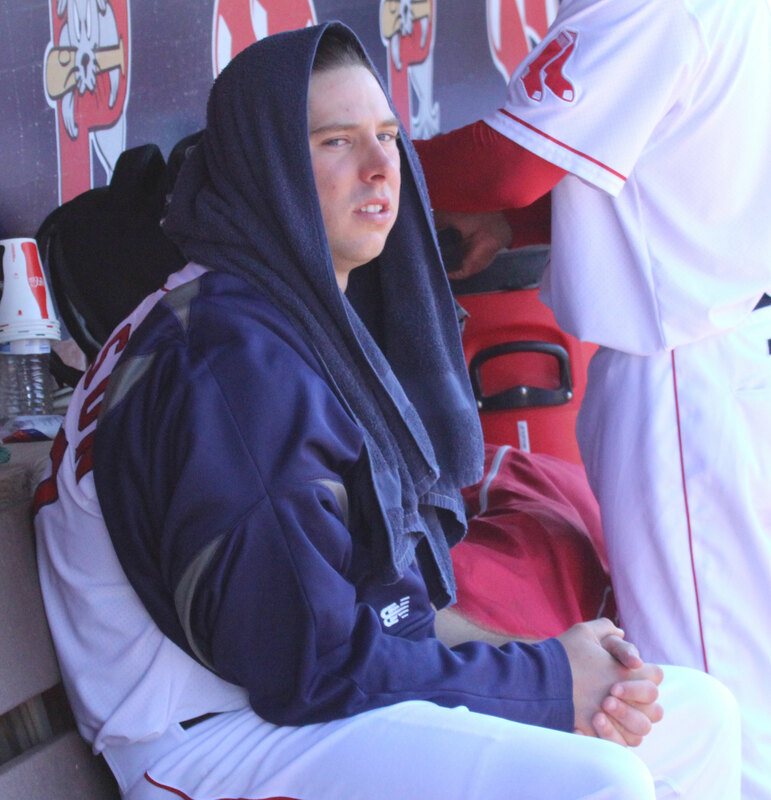 Boston’s Brock Holt was also on that Altoona team. 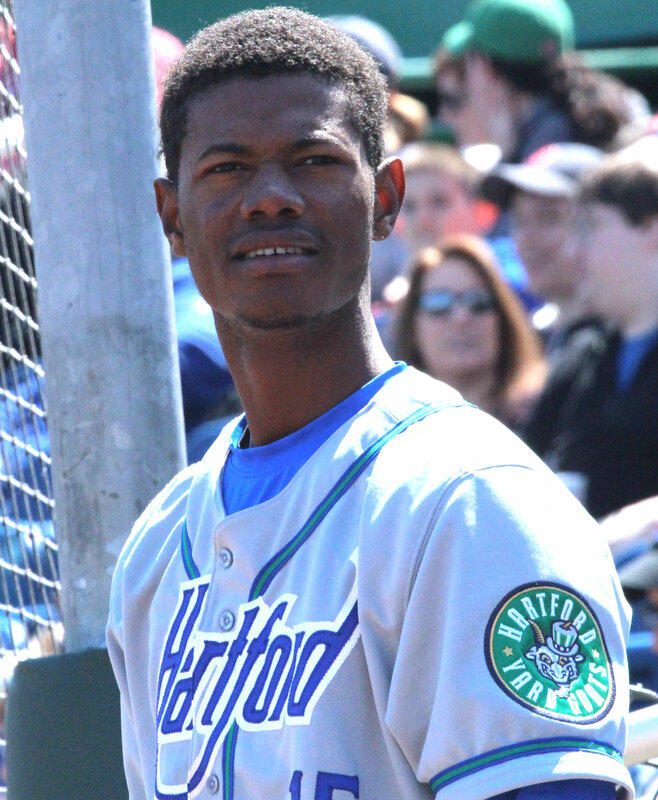 Hartford could easily be called the “Road” Goats. Their stadium won’t be ready until the end of May so every game before then is a road game. Nice planning! 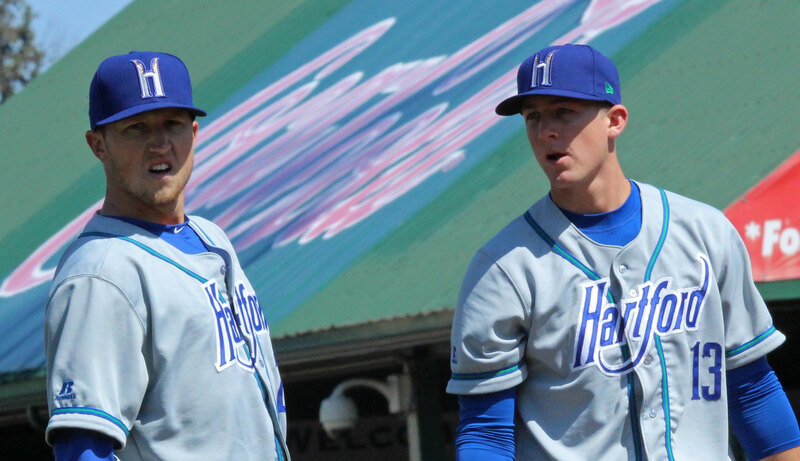 The Goats (8-3) have plenty of highly regarded pitching and don’t appear to be intimidated by the non-stop road games. It helps that AA crowds are very different from major league fans. 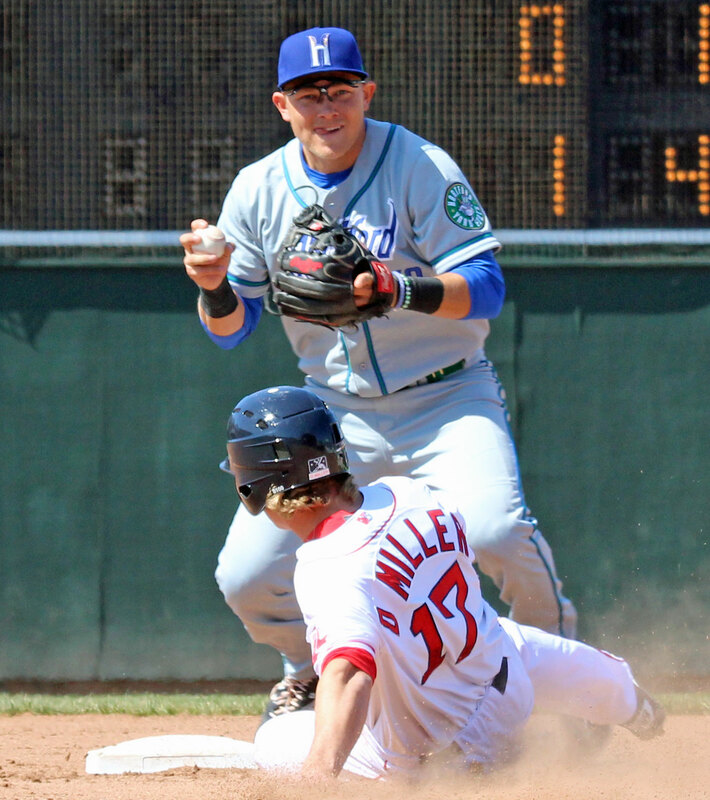 The players are a mystery to most minor-league attendees so they don’t react strongly to miscues and/or hits. In other words, there is a lot less pressure. 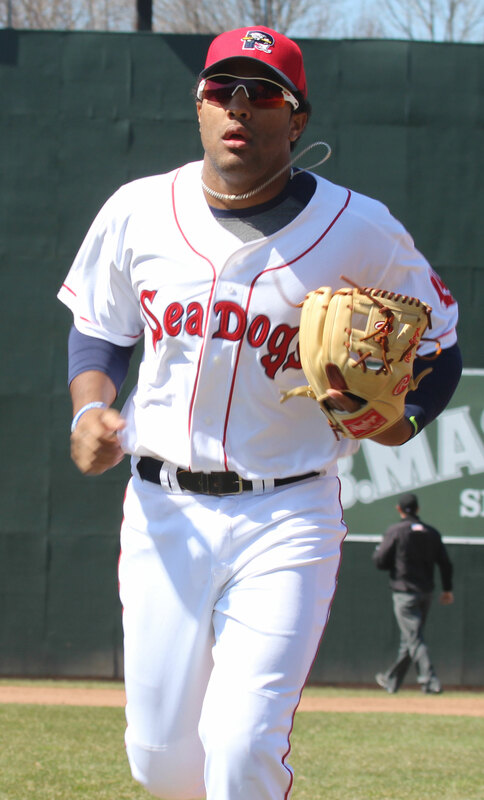 One evidence of unknowing fans was a time I was at Portland in August for a Sea Dogs game versus Harrisburg. 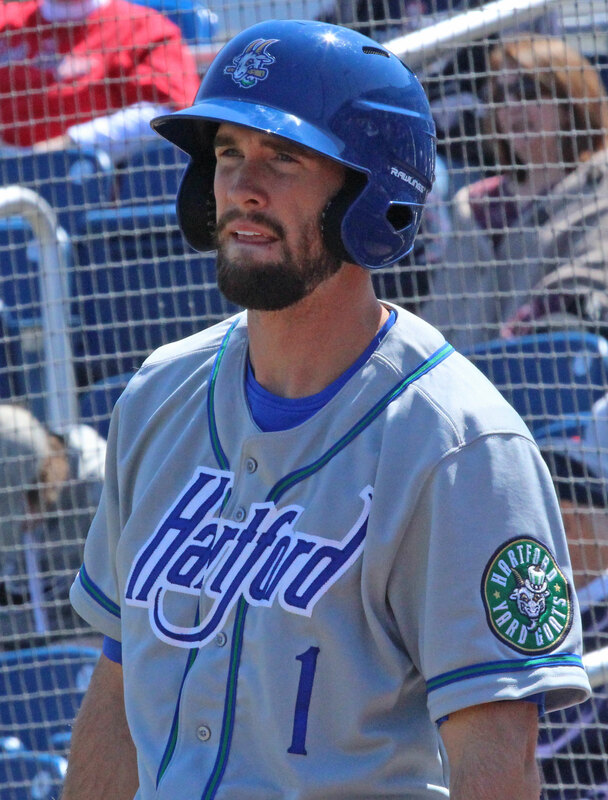 The Senators had the #1 prospect in all of baseball on their roster………Bryce Harper. He came across the field just before game time in a warmup jacket and hardly caused a stir in the crowd. 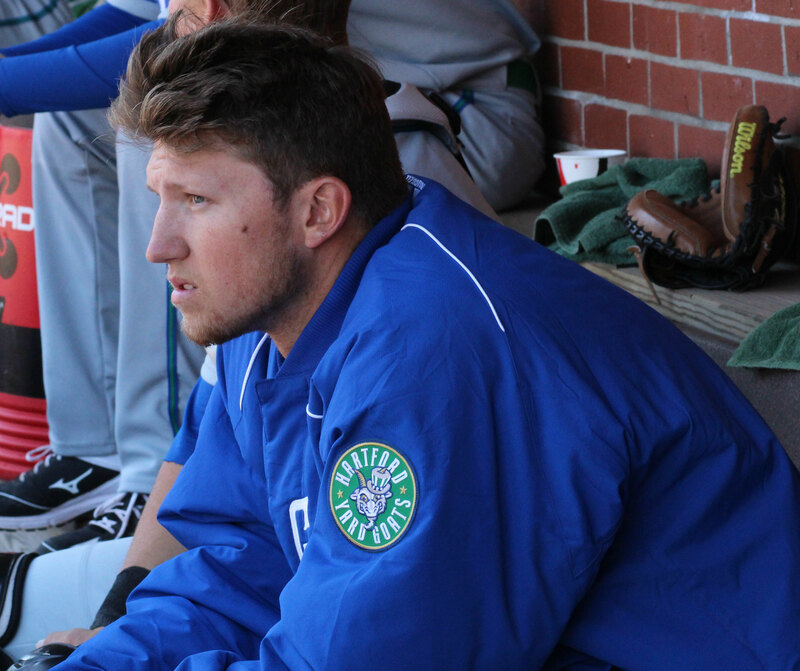 I had seen pictures of him so I knew what I was looking for and ended up with quite a few good shots of him in the Harrisburg dugout. 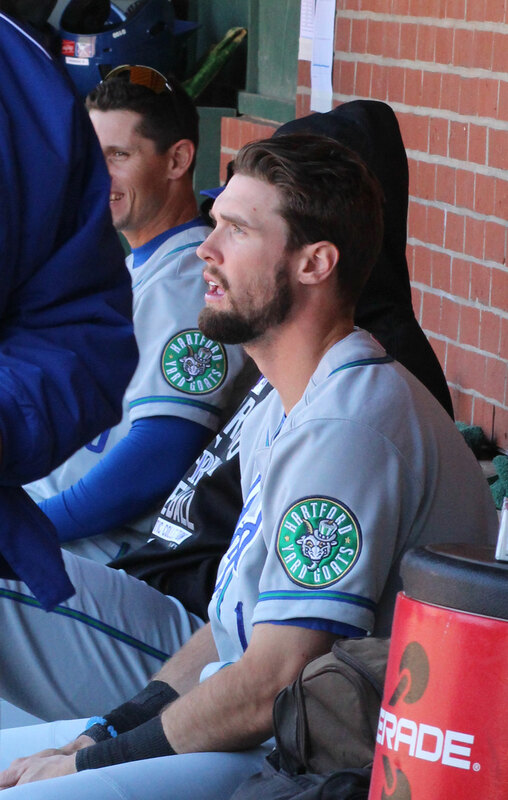 I had seen David Dahl (first round CR pick – #10 – in 2012) last year in the New Britain dugout at Portland. I knew what he looked like. This time around he was in uniform and on the field early. It wasn’t actually any baseball activity that got David on the field early. It was Jacquelyn Davis. 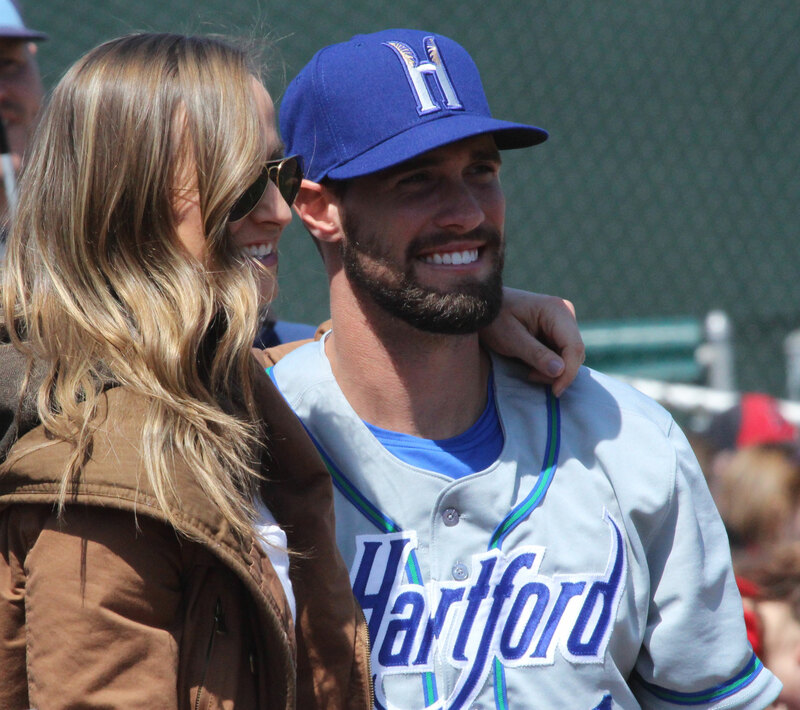 Hartford’s Matt Carasiti, from Berlin CT and St. John’s, had family on hand. 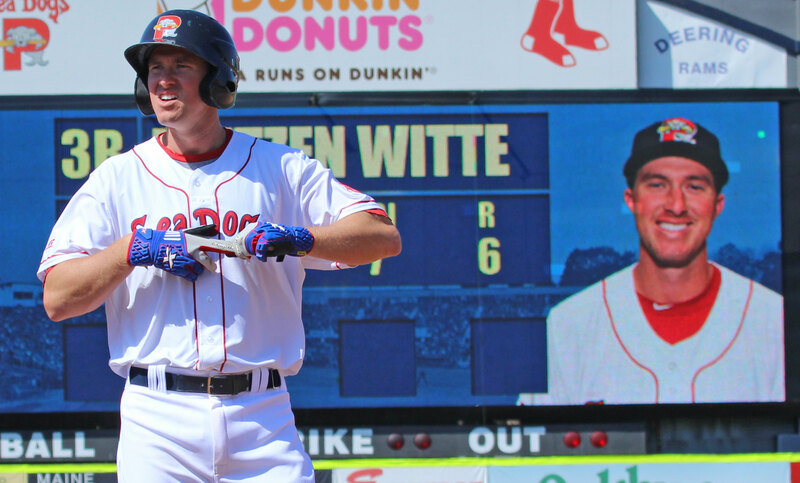 Another reason why I drive up to Hadlock Field is to cheer Slugger on. I know he’ll race a little kid and every time I’ve been there he has come in second. That didn’t change today. He always has a costly breakdown in the races I’ve seen. This time he had the lead early but chose to engage his young opponent in a conversation as they both went over second base. By the time the Big Guy got himself facing the right direction the young speedster had put him away. Slugger was devastated and rolled in the first base coaching box sobbing. It brought tears to my eyes too. Maybe next time! 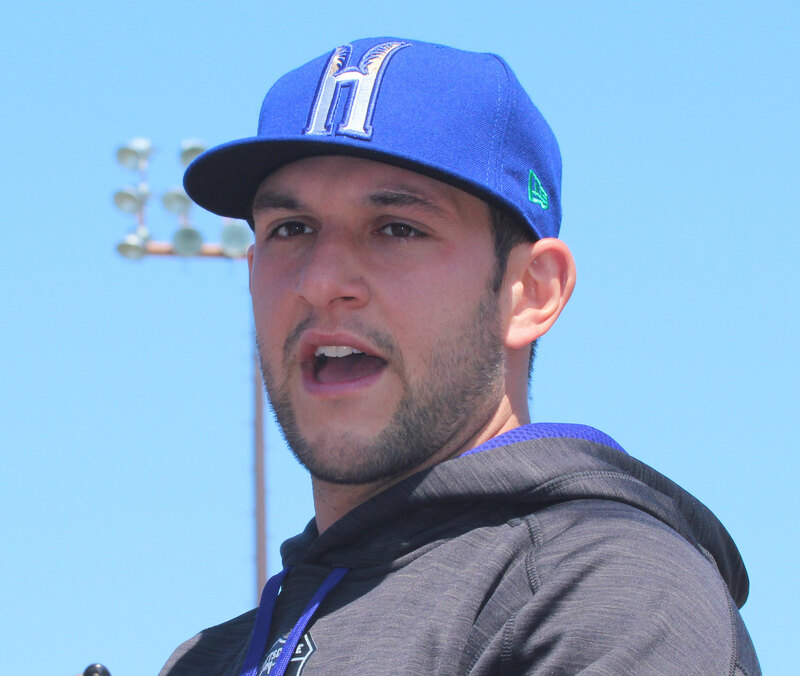 Aaron Wilkerson was one of those undrafted pitchers that had to make a name for himself in independent leagues to get the attention of major league teams. 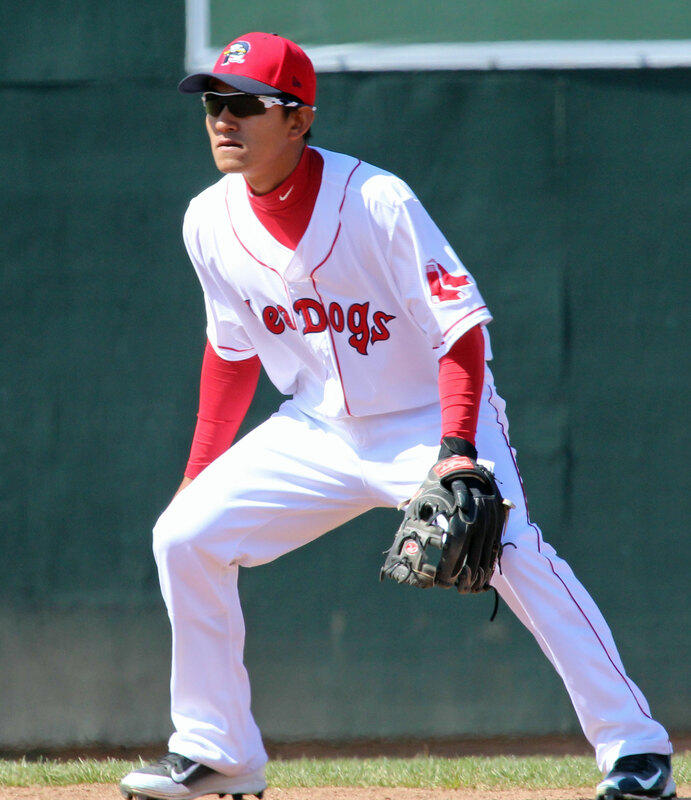 I like his chances of getting to AAA Pawtucket this season. 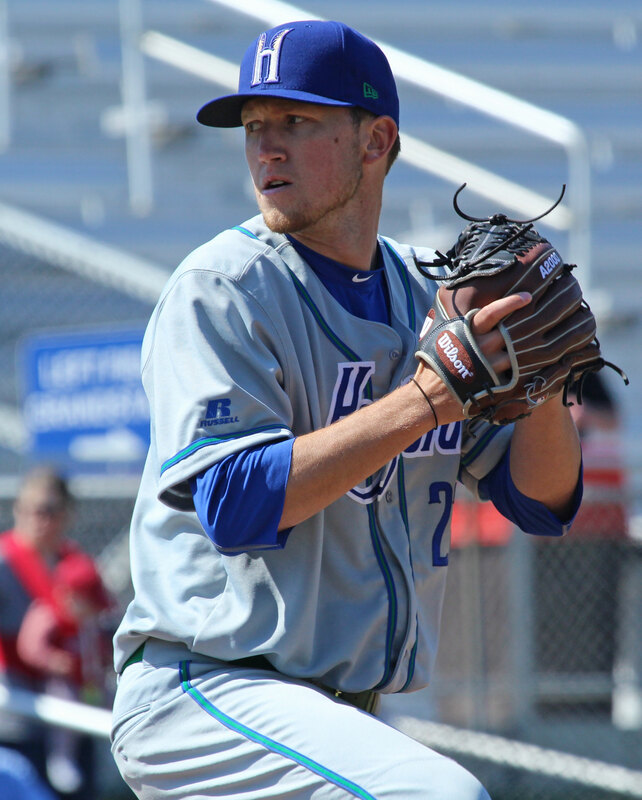 Kyle Freeland pitched seven strong innings for Hartford giving up only five hits. 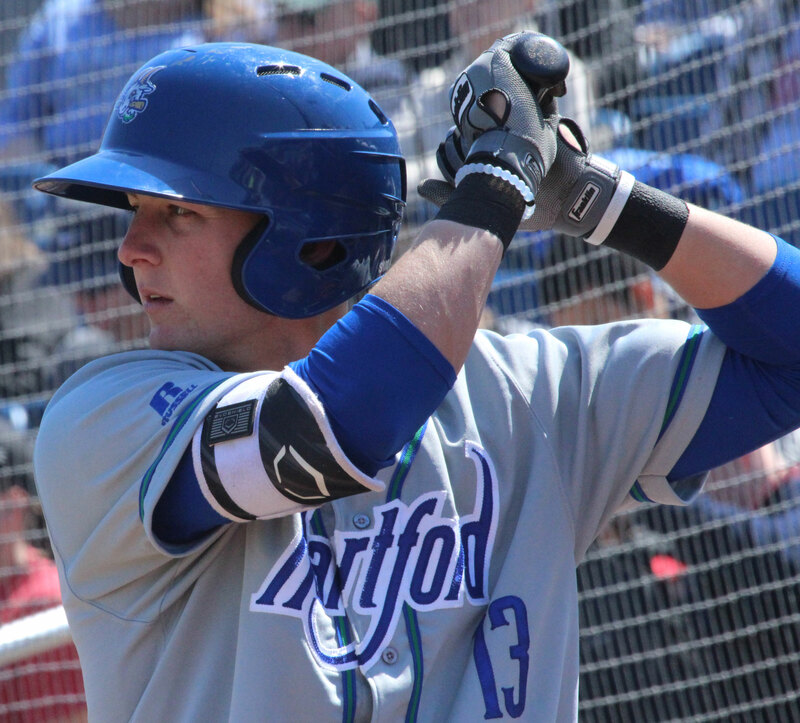 The Rockies selected Kyle in the first round (8th pick) of the 2014 draft. 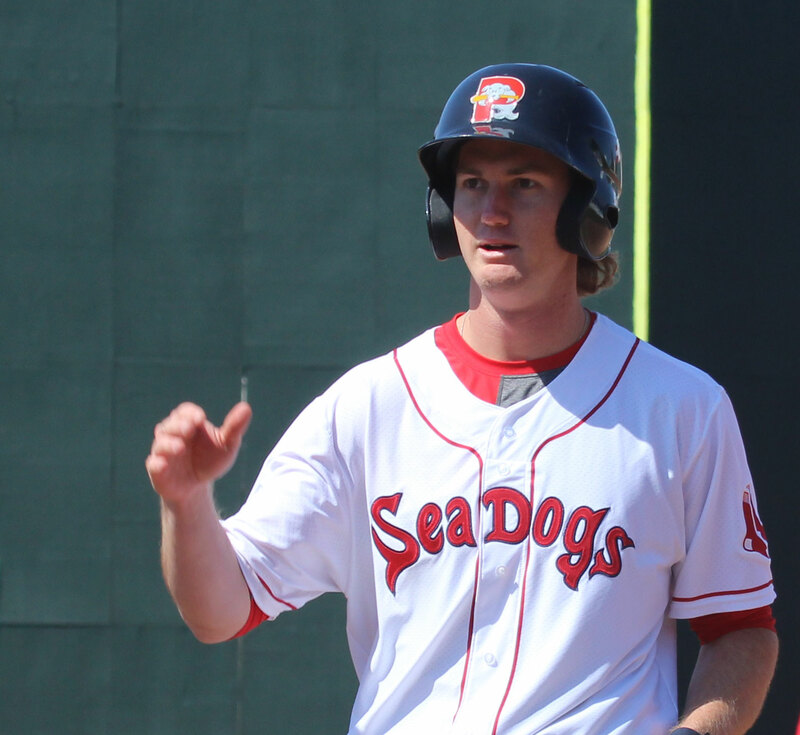 This was a special day for the Sea Dogs’ Derek Miller because he got his first AA hit. 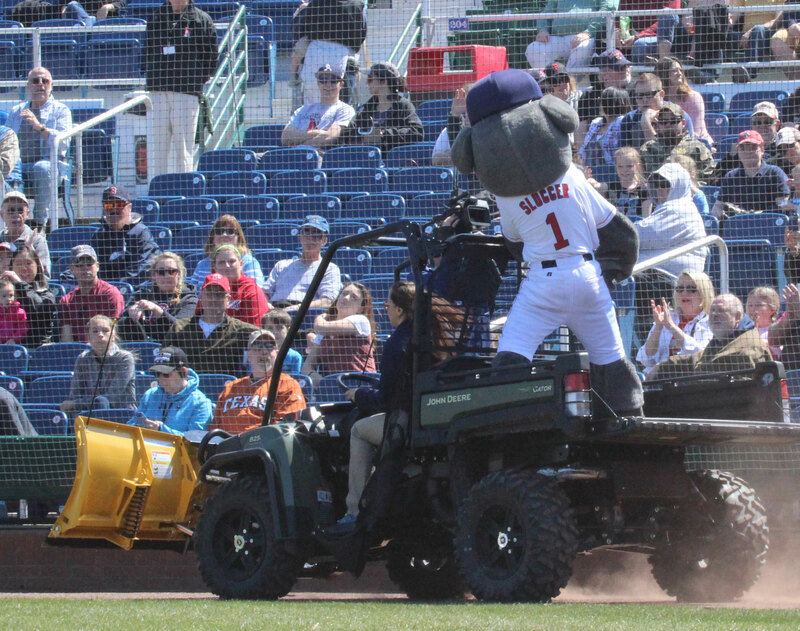 I liked the idea that the vehicle that transported Slugger around the field had a snowplow on the front of it. It wasn’t that long ago that the white stuff was on Hadlock. Today’s weather (60’s and sunny) was about as good as it gets this time of year. Thanks to media relations director Chris Cameron for arranging my visit on short notice. I flew back from Turks and Caicos on Saturday. Now there’s a nice place!